"Listen to English" Author Peter Carter Speaks with us! What exactly is a Podcast anyway? 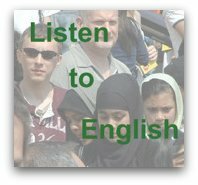 If you haven't heard of the website "Listen to English", then I invite you to click on the link and visit it right now. I am sure you will be pleasantly surprised to find this high quality English audio combined with full transcripts for the low price of €0.00. Yes, it is all free! Peter Carter, the creator and voice behind this podcast, posts 2 new podcasts every week for over 36,000 listeners. Today Peter has agreed to talk to me about his site and his contribution to the ESL online community. 1) So, who is Peter Carter? 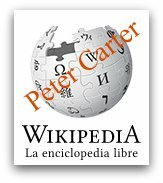 If you could write your own Wikipedia entry what would it say? Well, very briefly, I spent my working life working in the British civil service. I worked abroad for the Foreign Office for some years, and then in Britain dealing with different aspects of energy policy. I live in Birmingham, and my wife is an Assistant Head Teacher in a big secondary school. I am not an English-language teacher. I did once apply for a course to train as an ESOL teacher, but I was turned down - perhaps they though that I was too old! 2) Now that we know more about you, could you explain to everyone how your website can help them? How can English learners incorporate your website resources into their weekly studies? (What do you provide?, how to sign up? and maybe a plan to get the most from your audio). 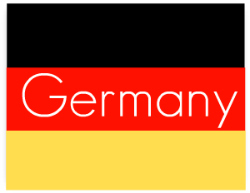 I have been learning German for the past several years. I am not very good, but I quite enjoy it. It has given me some interesting insights into how difficult it can be to learn a new language, and I have tried to use these insights in my podcasts. For example, I found that I needed to have spoken German material to listen to, but that ordinary German language radio broadcasts were too difficult - people speak too quickly for me, and it is difficult to work out the meaning of words that I do not understand. I was very pleased to find a woman in Berlin who made short podcasts for German learners, complete with the text of what she was saying, so that it was easy to understand new words or expressions. Unfortunately, her podcasts are no longer on the web. I said to myself that I could do the same for English learners. And so Listen to English was born. My podcasts are not an English language course. You won’t learn much English if the only thing you do is to listen to my podcasts! They are rather a resource which English learners may find useful as part of their studies, to improve their listening skills, their pronunciation and so on. Different listeners will use the podcasts in different ways, depending on their needs and their skill level in English. But here is one way of using the podcasts which you may find useful. First, read the text (on the website). Do you understand it, or most of it? Look up any words that you do not know in a dictionary. Then listen to the podcast while reading the text, so that it starts to become familiar to you. Next day, listen to the podcast again, but without reading the words on the screen. Probably you will be pleased at how much you remember. The podcasts are free and there is no need to register to listen to them. You can however sign up for an e-mail subscription service, which sends you an email whenever there is a new podcast to listen to. Or you can “like” the Listen to English page on Facebook, and receive notifications of new episodes in your Facebook news stream. 3) Ok...I know what a podcast is but many of my students don't. 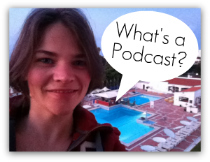 What is a podcast and how did you end up recording 2 "Listen to English" podcasts a week for ESL learners? A podcast is an audio blog. A blog is a website with regular new “posts” (or instalments, or episodes). When you visit a blog website, you see the most recent “post” at the top of the page, and the next below it and so on. A “podcast” is a blog with audio recordings, which you can listen to on the website or download to your computer. You can use a computer programme like iTunes to download new podcast posts automatically. When I started Listen to English, I used to record three very short podcasts every week. With time, the podcasts became longer, and fewer! I now record one new podcast every week, and take a couple of longer breaks during the year. There are a lot of old Listen to English podcasts on my website, so there is plenty of material for my listeners to use, even in weeks when I do not have time to make a new podcast. 4) Preparing, writing and recording two podcasts a week must be quite time consuming. How do you manage to stay on track and stay motivated? How could your habits be used by English learners to keep on track with their English studies? First, I write down what I am going to say; and then I record it and load the recording to my website. I normally find a picture for the website to illustrate the podcast. Flickr has many excellent pictures which can be used for non-commercial purposes. Finally, I often spend some time writing a quiz or similar activity to accompany the podcast. I try to keep these light-hearted! Sometimes, I lose motivation. And of course I know that some day I will have to stop making podcasts completely. I think it is important not to worry about loss of motivation. If I do not feel like making a podcast this week, or if I am too busy doing other things, it does not really matter. I can try to make a better podcast next week! But if I worry about loss of motivation, podcasting will become a burden instead of a joy, and that will be the end of Listen to English. 5) Can you give my visitors any advice on proofreading? 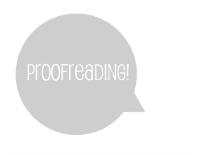 How do you catch all (or most) of your typos or spelling errors before making your posts live on your website? I do not catch all my typing and other errors! I often find that I write one thing in the text of the podcast, but use a different word or expression when I make the recording. My listeners have sharper ears than I have, and often point these errors out to me. 6) How would you describe a typical day in the life of "Peter Carter"? Since I retired, I have been a “house husband”. I look after the home, and when they were younger I took my children to school, and so on. We have a large garden, and a small flock of hens, to keep me busy. I play the violin in a couple of orchestras, and I have taught myself the PHP computer language. In fact, the software which runs the Listen to English podcasts is largely something which I wrote myself. 7) What is your opinion on "online learning"? Is it going to replace face-to-face classrooms or is it going to complement them? Different people learn in different ways, and for some people online language learning works very well. I suspect that for most people, however, online learning complements learning in the classroom, but does not replace it. Thank you so much for taking the time to speak with me today Peter and I encourage anyone who is looking for more English audio to visit www.listen-to-english.com and sign up for Peter's podcast.